Dirt! 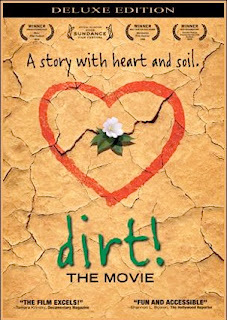 is an insightful and timely film about the glorious and unappreciated material beneath our feet. ­It features interviews with environmental luminaries from Fritjof Capra and Vandana Shiva to our own homegrown Andy Lipkis. Discussion follows the film. Inspired by William Bryant Logan’s acclaimed book Dirt: The Ecstatic Skin of the Earth, Dirt! The Movie takes a humorous and substantial look into the history and current state of the living organic matter that we come from and will later return to.